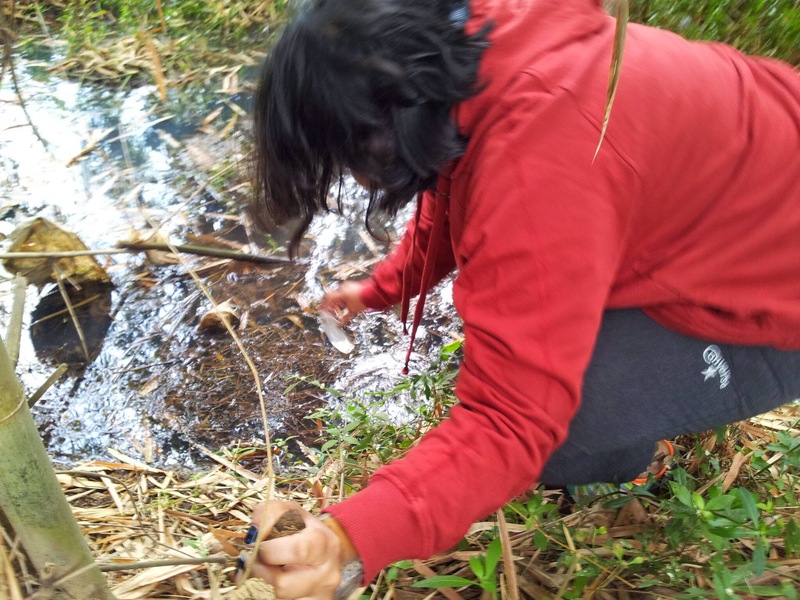 For collecting as many water samples as we could, we decided to crowdsource. These samples were then to be sent to EPFL for testing with the bio-reporter. Before beginning to ask people for samples, there were a few considerations though. 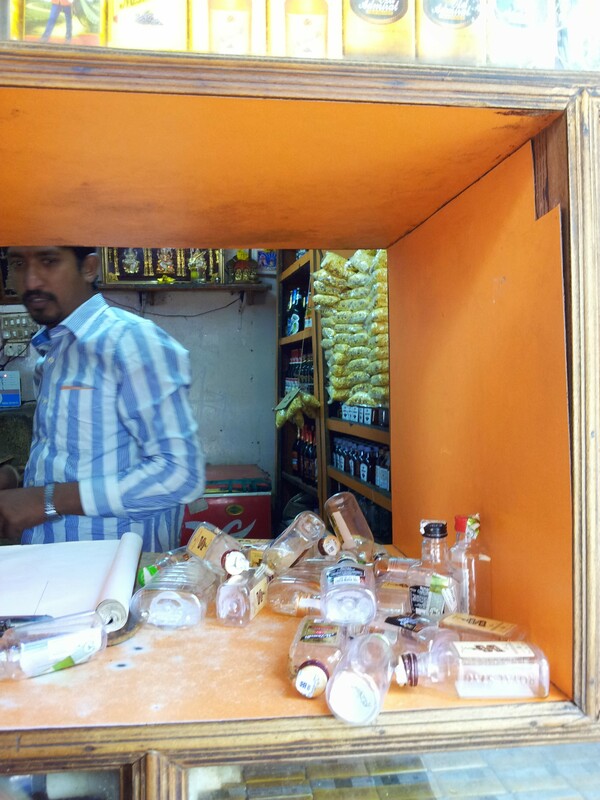 1) The material of the bottle itself. Arsenic from the water gets absorbed into glass, so the material of the plastic bottles had to be PET. 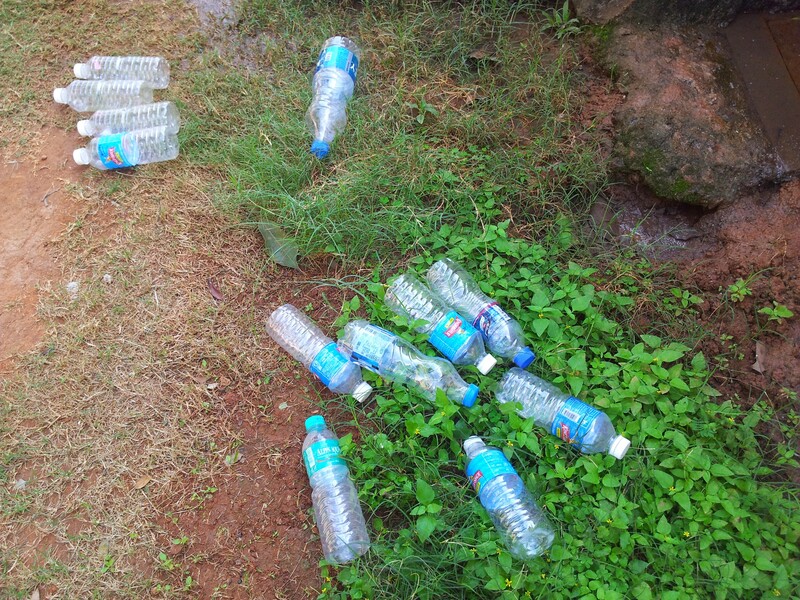 Pet bottles are found commonly, so we thought of reusing drinking water bottles for sample collection. After collecting a few samples we realised that we were collecting 10 times amount of water required (50 ml). This directly affected the cost of shipping as the weight would be a lot. Also, not filling the bottle to the full, will increase chances of oxidation of the arsenic in the sample. Finally, we used the 60ml whiskey/alcohol bottles collected from a local bar! 2) Acidification of the samples. 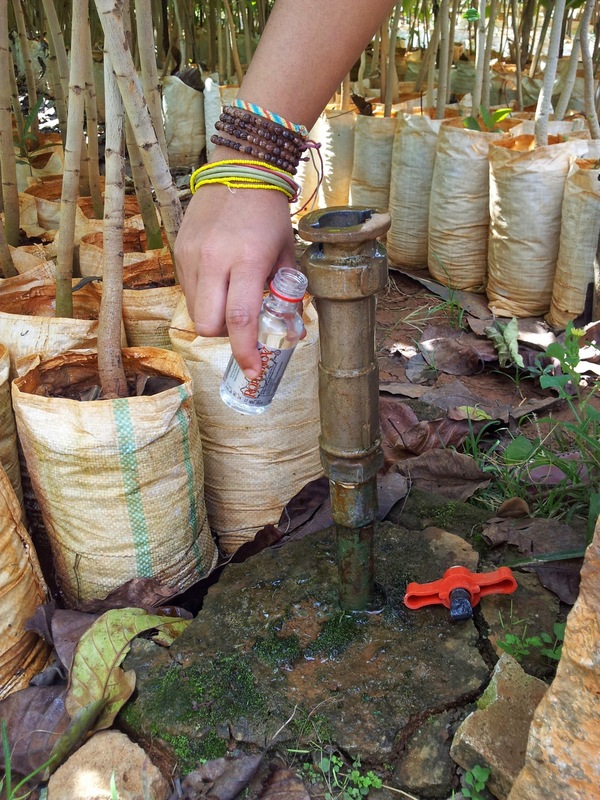 For preventing the oxidation of the arsenic, the bottle had to be rinsed with 7.5 M 0.75M Nitric acid and after collecting a sample, 1ml of 0.75 M nitric acid had to be added to the sample. It would be dangerous to ask people to handle the concentrated acid, so we rinsed the bottle with the concentrated acid in the lab itself and added 1ml of the acid into the bottles before handing them out. The first group we thought of approaching was the Srishti School of Art Design and Technology faculty. Everyone lives spread over the city so it covered a large geographical area. The problem we realised later was that almost whole of Bangalore Urban is covered by a single water source provider , the Bangalore Water Supply and Sewage Board (BWSSB). BWSSB is a unit of the government and is supposed to provide portable water to the whole of Bangalore. They also have their own ‘Test your Water’ service centres and their score is supposed to be 99.2%. They test the water on a list of parameters, which are defined by the W.H.O. .
We managed to get some samples which were borewell water mixed with the BWSSB supply but on a larger scale we would not get enough diversity in the samples. 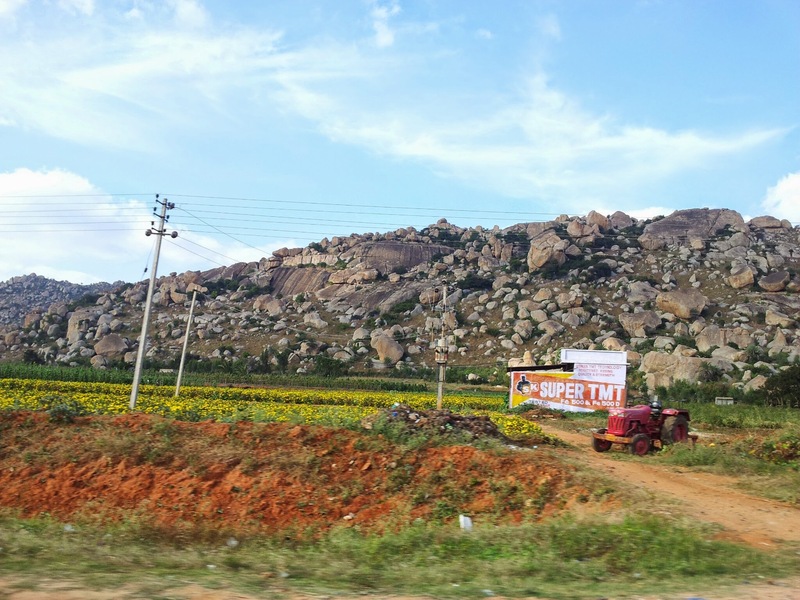 We then decided to do a field trip to the outskirts of Bangalore, from where we hoped to get a diversity in the water samples. We drove along the Bangalore – Kolar highway and stopped at a few villages along the way and asked the people for water samples from different sources of water in the village. There was no direct centralised supply of water in these villages. 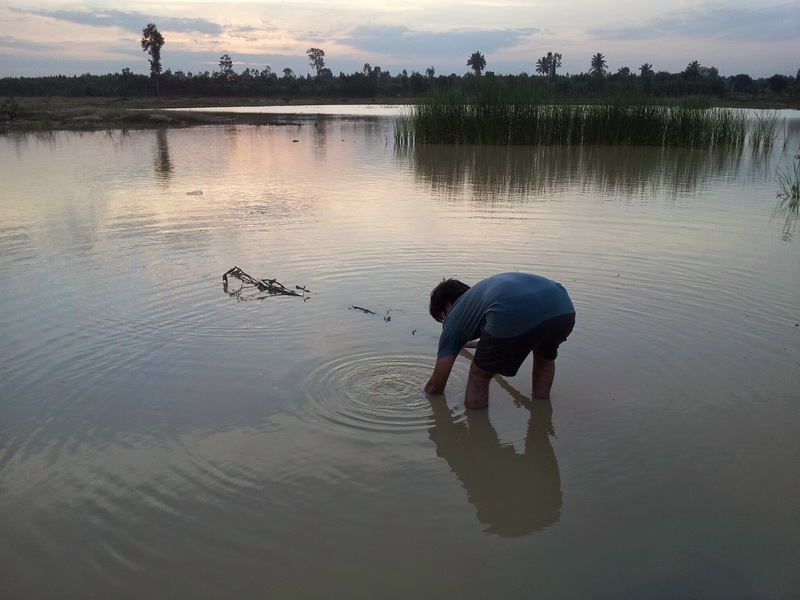 Most of the villages were serviced by borewells and wells and one was by a lake. The government borewells had specific operational hours. The samples we collected from these sources were pumped less than 2 hours back. For each of the samples, we noted the Name of the Village/Town/Area, GPS location, Source of the water, Colour/smell/clarity of the sample, Name and mobile number of the person the sample was collected from (if they wanted to share), if the village faces any problems regarding the water quality/supply, if they would be interested in knowing the result of the test. 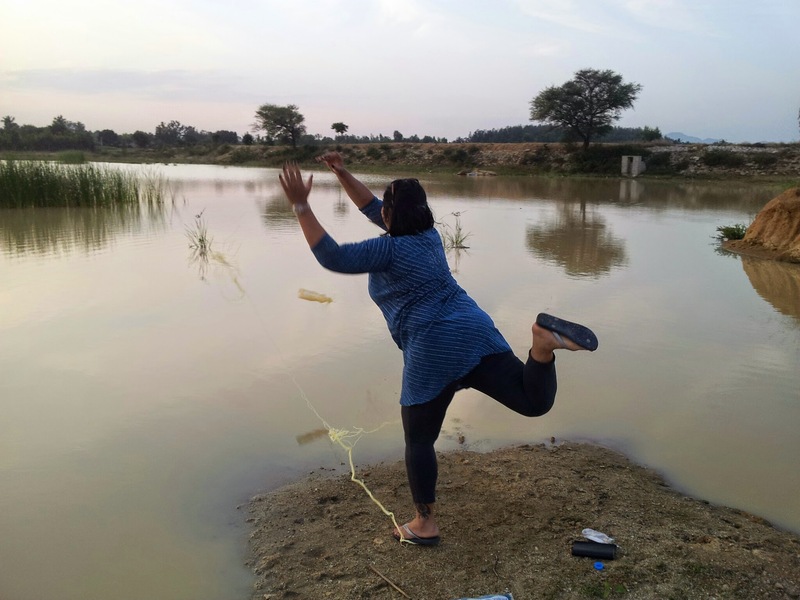 The last source we collected from was a Lake near the Kolar Gold Feilds. 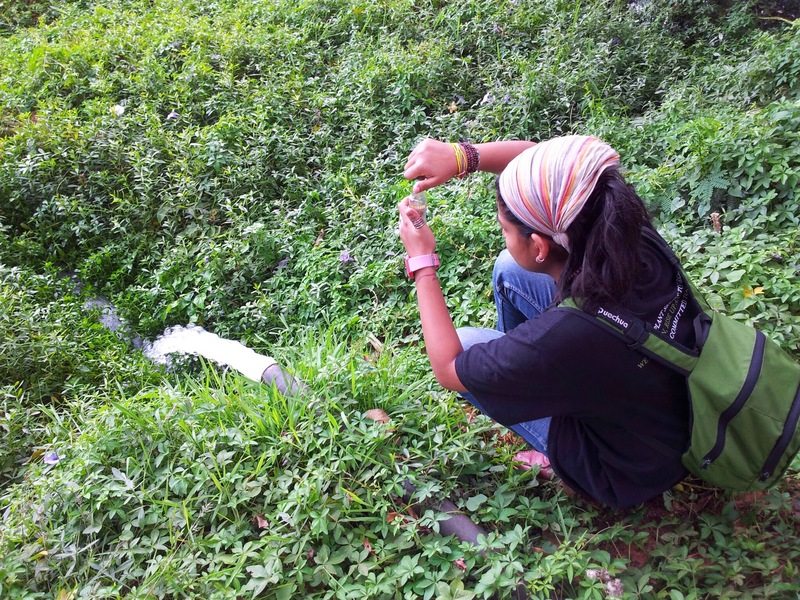 We then revisited the Putenahalli Lake site, which had previously tested positive for the arsenic. 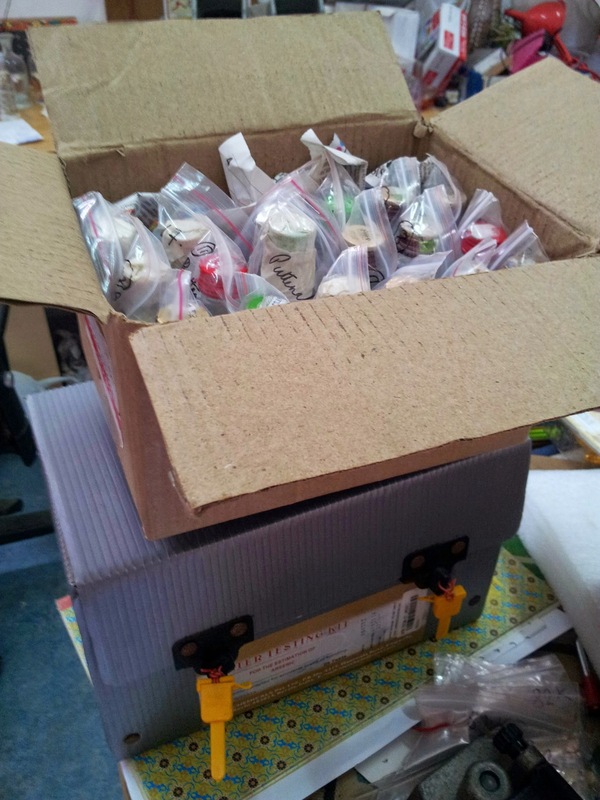 After labelling and packing all the samples, all the samples were to be shipped to EPFL, along with the arsenic testing kit. 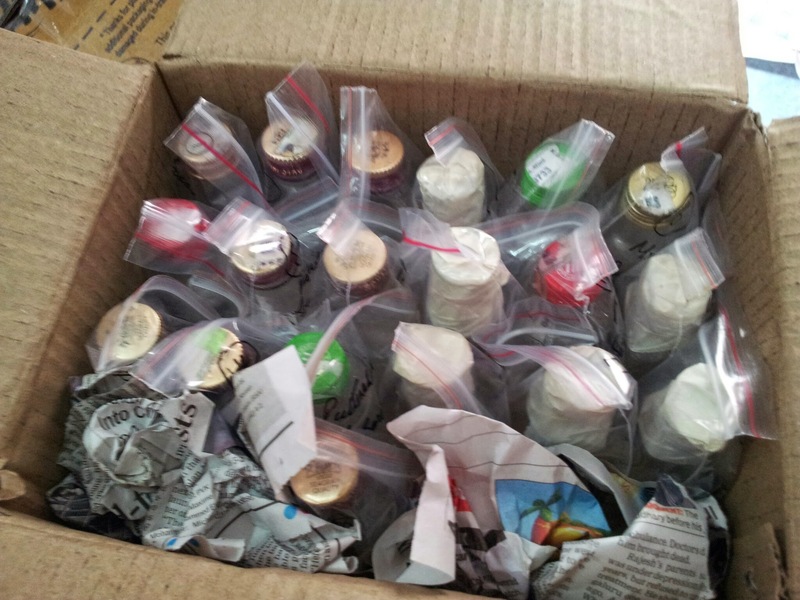 We discovered only then that shipping of liquids and chemicals is not permitted for domestic or international shipments! While we are exploring other options, Fed Ex has agreed to ship the items, provided we get 3 ‘non hazardous goods’ certification done from specified laboratories! This process can take really long. In the meanwhile, till the process completes, we also need to figure out a long term solution for the storage of the samples in a fridge to maintain the temperature between 4-7 C.